A constant flow full face mask. 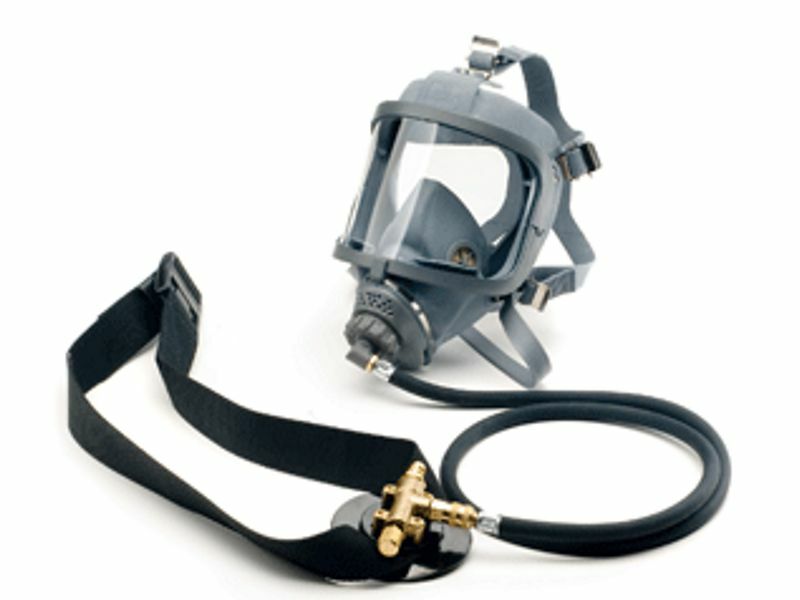 Uses a waist mounted regulator and an air supply hose. Replacement Triplex Visors, regulator belts and filters availabel to buy.